Every book in Skyrim is now available in convenient e-reader format. 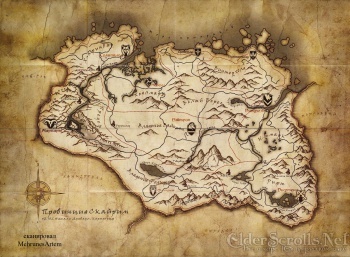 I love the amount of lore in the Elder Scrolls universe. Like Tolkien, the masters behind Cyrodil have written reams of digital books regarding the reign of this king or that rebellion. In the first ten hours playing Skyrim, I probably spent half the time browsing the books on random townspeople's shelves. I had to stop myself because my game-playing time is so limited I didn't want to waste it reading extraneous - but still awesome - background information. But now, thanks to the Johan Gutenberg of Skyrim - a software developer who guys by the handle Capaneus - all of the written material in the game is now available in a format readable by your Kindle or other reader. Like me, Capaneus loved the books, but didn't want to waste game-playing time reading them. "I took a look at how Skyrim actually stores these nuggets of incidental storytelling," he said. "By the 9, it was in plain text! I pasted the book text into separate docs, slapped on headings, created a table of contents and a cover, and just like that, I can read my copy of The Lusty Argonian Maid on-the-go!" Head over to Capaneus' website to download a copy if you're interested. As Capaneus points out, technically, with copyright issues and all that, you should only download the file if you already own the game. But if you get psyched about reading all the books in Skyrim without actually playing the game, you probably have bigger problems than being a software pirate.